At a passing glance, World of Tanks can seem much more niche than it actually is. I mean, don’t get me wrong - World of Tanks absolutely niche in the sense that, as a game, it obsesses over little things and aims itself at something other than the mainstream audience other multiplayer games try to captivate. Tanks is unapologetic in its pitch towards the interests of military history nerds who appreciate the attention to the detail found in the each of the game’s 400 or so realistically-replicated war machines. Almost by definition, that’s a pretty exclusive premise for an online free-to-play game. Nevertheless, in the seven years since it launched, Tanks has garnered not only a substantial audience but also one that’s willing to spend money. According to market research company SuperData, the game brought in more microtransaction revenues for developer and publisher Wargaming in 2014 than even global titles like World of Warcraft and Counter-Strike: Global Offensive did. The “secret” here is that underneath that sometimes-dense and historically-accurate exterior is a fun multiplayer experience that’s simple-to-learn, satisfying-to-play and strategically-deep-enough-to-keep-you-coming-back. Sure, if you’re in it for the tank lore - there’s a lot of that there. However, at the same time, all you really need to enjoy Tanks is an appreciation for teamwork and an understanding of how the game’s armor penetration system works and the ways in which it mimics reality. 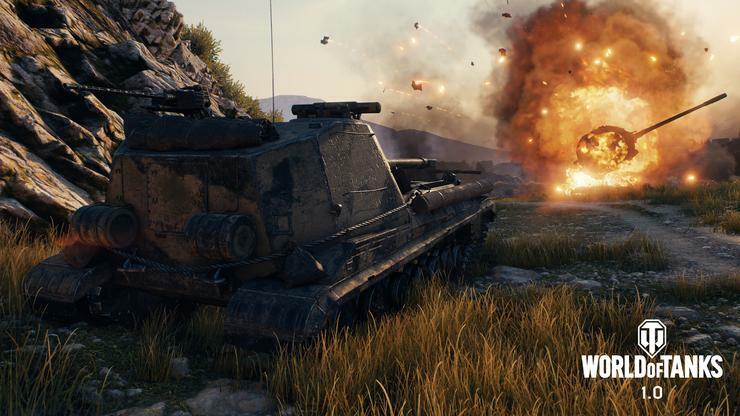 The numbers reflect that - Wargaming say that World of Tanks boasts over 160 million registered players. Back in 2014, the game had a monthly active user base of around nine million players and raked in more revenue-per-user than MOBAs like DOTA 2 and League of Legends. Now, a lot has happened in gaming since 2014, so those statistics may no longer apply. However, it seems pretty self-evident that World of Tanks is - obviously - still drawing enough of a crowd for Wargaming to justify continuing to invest in it. There are eSports tournaments, weekly in-game events and frequent content-updates for the game. 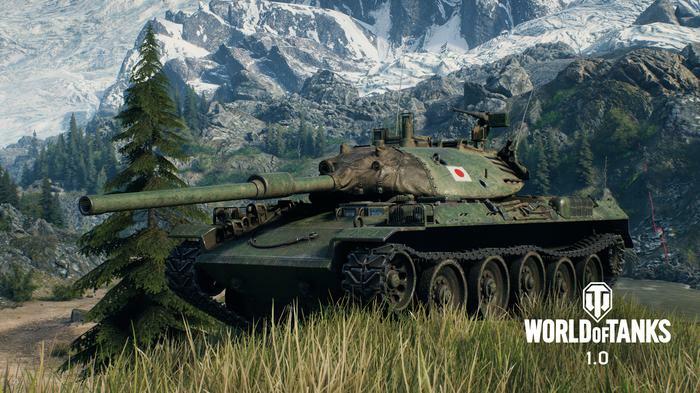 The biggest of these to date is (somewhat-confusingly) called World of Tanks 1.0. Announced late last year, the update completely rips and replaces the game’s older, now-dated graphics engine with a new one called CORE. While the weighty, strategic gameplay of Tanks has been left almost untouched, every one of the game’s thirty or so maps has received a full redesign. 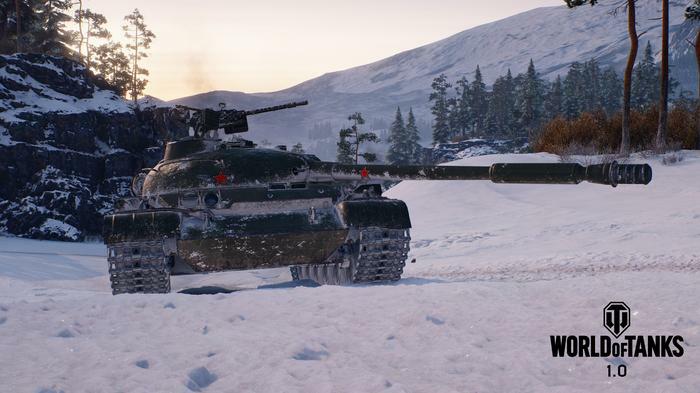 The idea here is that a new, more-modern-looking coat of paint will not only serve to reinvigorate the accounts of lapsed Tanks players but also draw in those who might have been turned away by the dated-look of the game’s seven-year old graphics engine. Of course, the update isn’t just visual. Wargaming also brought in over 40 musicians from all around the world to create a unique atmospheric, authentic sound for each battlefield in the game. The final effect here is one that does a phenomenal job adding flair and immersion to each of the game’s maps. Even if the extent to which Wargaming went to here is a bit overkill, there’s an appeal to that. For variety and richness of tone, there’s not a lot of other multiplayer games that hit this same high mark. Writing as a someone who’s sunk about a dozen or so hours into the new version of Tanks over the last week, the difference that the game’s new 1.0 update has made is actually kinda staggering. 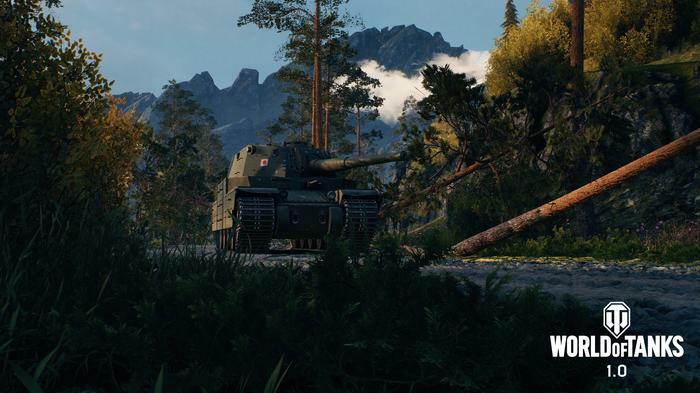 World of Tanks now look, sounds and feels a lot more immediately-satisfying to play. That same enthusiastic time and care that’s gone into the game’s reproduction of tanks has been extended outward to the rest of the experience - and the results are really impressive to behold. For the first time in a long time, I can actually see myself sinking more time into the game rather than less. I’ve tried messing with Tanks in the past, but the inherent-exclusivity of the premise and other factors have often seen me ricochet off of it. Despite what the nomenclature suggests, World of Tanks 1.0 really does feel like a whole new game - albeit one that arrives with seven years-worth of highly-refined and replayable maps, a much more distinguished sense of what it is and a much better sense of how to keep you coming back to it. It's nothing short of a blast, pun intended.